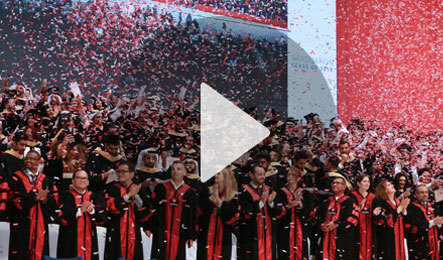 Why Choose Canadian University Dubai? We offer an education based on the Canadian curriculum, giving us internationally recognized quality and credibility. As a portal to Canadian higher education, you can start your degree at CUD then complete your studies and graduate from one of our partner institutions in Canada. All of our programs are accredited by the UAE Ministry of Education: Higher Education Affairs. Our international faculty are highly qualified and inspirational in their field, bringing innovative teaching styles and philosophies from across the globe. With an education based on the Canadian principle of prescribed learning outcomes, CUD graduates are highly employable in the international jobs market. We offer flexible program schedules ‒ evening and weekend classes are available for both undergraduate and graduate programs. We have a convenient downtown location in the heart of Dubai’s business district, with state of the art academic and recreational facilities. CUD is a student-centered university, where we value student success above all else. Our Research Centre provides students with the opportunity to be involved in cutting edge research internationally and in the UAE. We have a truly multicultural learning environment, with students from over 100 nationalities.